Fabinho Liverpool’s career may have looked like a slow burner to date, but statistics show how influential he has quietly been in the Reds’ midfield. The Brazilian made the switch from Monaco in the summer with many of the opinion that Liverpool had signed one of Europe’s premier defensive midfielders. He struggled to adjust at his new club early on, however, with Jurgen Klopp‘s tactical demands taking time to grow accustomed to. It took until late October for Fabinho to make his first Premier League start and there has been a vast improvement from around that period onwards. The 25-year-old shone in the 3-0 win over Red Star Belgrade, bossing things in the middle of the park, and there have also been eye-catching league performances against Everton and Bournemouth, in particular. 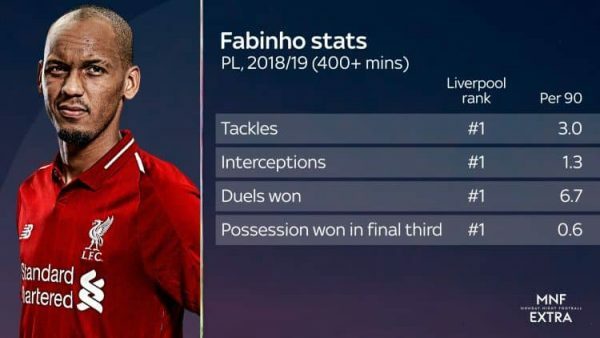 An article on Sky’s Monday Night Football Extra highlights how much Fabinho has shone domestically overall this season, with his statistics hugely impressive. 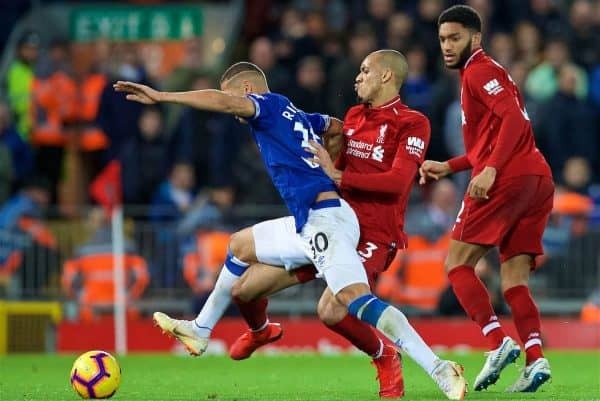 He is averaging three tackles per game, which is more than any other Liverpool player, and his 1.3 interceptions per match also see him come out on top. Fabinho ranks first in duels won per game (6.7) by Reds players, too, as well as the number of times he has won possession in the final third (0.7). Speaking about Klopp’s use of his new man, Reds legend Jamie Carragher believes he has benefited from the manager switching from a 4-3-3 to a 4-2-3-1 formation. 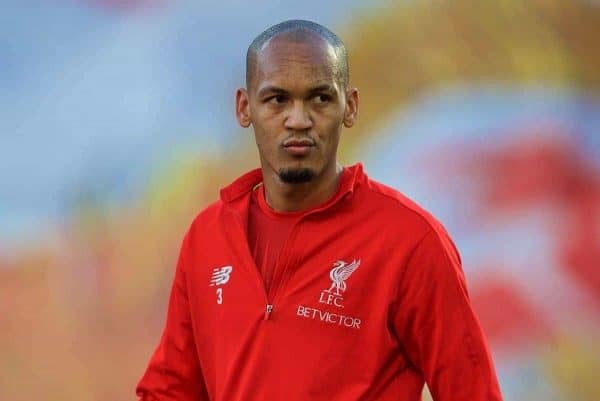 “Another reason for the change is because of Fabinho playing a little bit deeper as well,” said Carragher. The excellence of Fabinho is that he does so much unnoticed work that is ultimately pivotal to everything Liverpool are trying to achieve. He makes tackles you don’t see, wins vital headers – he won two important aerial duels during his late cameo against Napoli on Tuesday – and also moves the ball quickly. Fabinho is a world-class midfielder, which is precisely why Klopp was so willing to spend £39 million on him, potentially rising to £43 million. The Brazil international is expected to start in Sunday’s vital clash with Man United, where his physicality and aerial prowess will be priceless against a United midfield likely to feature Nemanja Matic and Marouane Fellaini. His influence will only become more noticeable from this point on, with Liverpool finally possessing a genuinely top class midfielder to sit in front of the defence.